Document conversion software can provide great benefits to individuals and companies, but some are understandably hesitant to make the leap. In this post, we’ll look at some common concerns that users and companies have about making the move to professional document conversion software – and the truth about how it can really help your business. 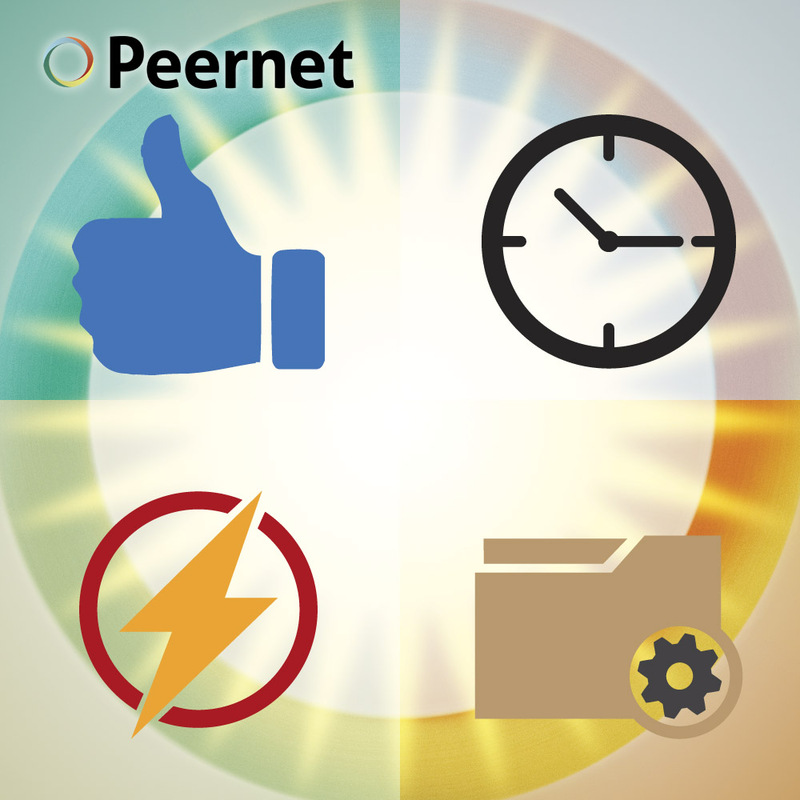 Truth: Peernet offers a wide range of software at many different price points, including software that is priced with individual users and small businesses in mind. For applications such as converting to PDF, pricing is designed for affordability. We also offer a variety of different licensing options for all of our products, to suit the needs of your use of the product. And with the purchase of a product, you’re given the option of opting in to on-going licensing and support subscription. In all, it’s a great value, and an investment in professionalism. Truth: Many Peernet products, including our image printers such as TIFF Image Printer and Convert to PDF, for example, are designed with ease-of-use in mind. Using our examples, if you can print a document, you can easily print to TIFF, or convert a file to PDF. We do also offer enterprise document conversion solutions designed with larger organizations in mind, but once initial set up is complete, the learning curve is still straightforward. Plus, as mentioned, we offer support services on our products if you so wish. Ability to set up conversion profiles, so you can maintain settings each time you create or convert documents. Support for less common conversions, like to convert jpg to pdf, or the ability to convert pdf to jpg. The ability to train many team members on one common platform. Ongoing support and assistance as you need it. Truth: Many businesses are not mindful of the security of their documents – until their files or hacked or information is stolen. Hackers do not discriminate on the basis of company size; often times, all they’re looking for is access to information while exerting the minimum amount of effort. In many instances that means smaller companies are actually more susceptible to data breaches than large organizations. Keeping your file conversions localized rather than uploading files to some unknown server halfway across the globe is a simple, sensible building block of your company’s security. Your customers will thank you for it! Truth: Running your conversions through professional software gives you a consistent conversion each time. Not only does that make the process easier for you, the user, but it also ensures that after initially setting your conversion parameters, your documents will have a similar look and feel each time. That contributes to a more professional workflow for you, and a reliable way to produce professional looking documents for your customers and clients. Truth: Many of our document conversion products are designed with ease-of-use in mind. With our line of image printer products, for example, producing a professional document is as easy as sending a document to a physical printer. Once you have the process and settings in place, our file converters are sure to end up actually saving you and your employees significant time over the long haul. Truth: Did you know that the formatting on a Word document can significantly vary from one computer to the next? In other words, a word processing document that looks great on your own computer may turn into a jumbled mess on your clients’ machine – not exactly the impression that you want to be leaving with your valuable customers. That’s why conversions such as Word to PDF, Doc to PDF, or Word to TIFF are ideal. With these types of file formats, you can be absolutely sure that the formatting that you put together on your own computer will be maintained on the document you share, regardless of operating system, screen size, device or settings. Truth: On the contrary, something that makes our file converters stand out is the flexibility to customize your conversions. We have a variety of How-To documents that serve as a guide for our clients, and are always looking for feedback from our customers for new features. We are a nimble company whose primary concern is meeting the needs of our own clients, so just get in touch and we’ll be happy to point you in the right direction, regardless of how unusual your document conversion request is. Truth: Many of our software customers see a fantastic return on investment on file conversion products. This is often manifested through saved time, via simplified document management and improved workflow; this frees up employee resources to focus more on what really matters as the goals of your business. Which Document Conversion Software is Right for You? Check out our chart of document conversion software to find the solution that will work best for you or your organization. Whether you’re looking to print to jpg, convert PDF to tiff, or even less common conversions such as a need to convert pub to PDF, we’ve got a product for you. And if you’re still unclear, be sure to watch the video below, or contact Peernet. We’ll be more than happy to discuss what options are right for you!